An inscription at the Hunt Museum reads ‘The loveliness of many coloured gems has called me away from external cares’ aptly describing the attributes of this wonderful museum in Limerick. Undoubtedly, one of the best in Ireland as it displays a small, but excellent selection of national and international treasures. Larger museums tend to overdo it causing the visitor to suffer from culture fatigue, and not a little boredom. So, it really is quite special and different, the legacy of a local couple John and Gertrude Hunt. He was an art dealer and expert on medieval art and furniture, who advised Lord Gort on the restoration of nearby Bunratty Castle. They were also keen archaeologists and instigated projects such as Lough Gur and Graggaunowen and were obviously very well travelled. The couple began collecting in earnest shortly after the war, there has been some nasty rumours over the years re nazi collusion but it has never been proven. They had a particular interest in medieval religious art and amassed a very valuable collection which they kindly donated to the nation on condition that the state provided a suitable premises in which to exhibit it? To cut a very long story short, including the Irish government declining the collection, the former Customs House, a fine Palladian styled building designed by an Italian architect Davis Ducarte in 1765, on the banks of the Shannon, was chosen, refurbished and opened to the public in 1996. It is well sign posted with plenty of parking locally, has all the usual facilities including an excellent restaurant DuCartes on the ground floor with wonderful river views for restorative coffee breaks or a light lunch. Guided tours are free and excellent as most of the guides are volunteers, very well informed and passionate about the collection. 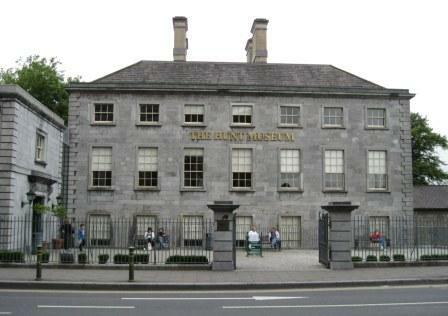 And hats off to the Hunt Museum, they were the first visitor attraction in Ireland enlightened enough to open the doors to the public every sunday afternoon for free in the interests of raising the local publics awareness and appreciation of this unique and very special Hidden Gem. Check the museums own website below for opening times, and other special offers such as 2 for 1 on mondays. 1 Locke Bar & Oysterhouse Restaurant on tree lined Georges Quay, this gastro-pub serves excellent food and runs a very popular Old Time Radio Mike Show during the summer months. 2 King Johns Castle is a large Norman castle nearby you cant miss it, a bit tired but about to get a major refurbishment. 3 Treaty Stone cross over Thomond Bridge to visit the stone where the Treaty of Limerick was signed in 1691 effectively ending the Williamite Wars with the surrender of the city. 4 Limerick Strand Hotel smart 4 star hotel just opposite, enjoy a nice lunch or stay in one of their luxurious suites overlooking the river Shannon. 5 Limerick City Museum located beside King Johns castle, as you might expect it houses a large collection of historical artefacts related to the city. 6 St Mary’s Cathedral built in the 12th century on the site of what was once a Viking meeting place and then a medieval palace, it is the oldest and most historic building in Limerick, still in use. 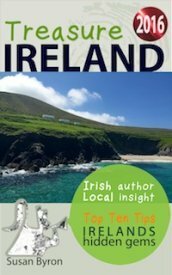 7 Tourist Office Arthur's Quay, for more detailed information, maps etc also guided walking tours of the city, including an Angelas Ashes tour featuring the various Limerick city landmarks mentioned in the famous book and film by Frank McCourt leave daily from here. 8 The Bailey Pub on Patricks Street, nice traditional pub, with lively night time scene. 9 Brown Thomas 14-16 O'Connell St, do some stylish shopping at the Limerick branch of Irelands leading and most prestigious department store which stocks only the best Irish and International designer labels. 10 Milk Market stroll up Denmark St to one of the oldest food markets in Ireland now fully modernised without having lost any of its charm.